Dallmeier joined the FSOA as a member in 2011. 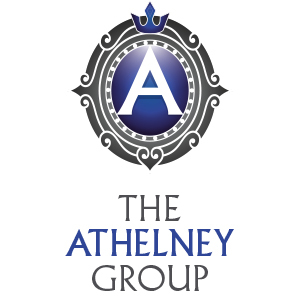 Our initial involvement came after one of our customers recommended the Association to us. Dallmeier at the same time launched a new Surveillance solution for large areas inclusive of Stadia. Initially the first installations were on mainland Europe within stadia applications, and from our initial success we then started to look for ways to introduce it in into the UK market. Since 2011 we have become regular conference and exhibition attendees and have also attended regional meetings. We have found members to be open, engaging and friendly and the committee themselves more than helpful and responsive. The FSOA has provided us with an excellent structure by which to keep in touch and network with members in a semi-formal environment and we have had a great level of serious interest with numerous follow up meetings and live trials at a variety of Clubs. I am also pleased to report that the very first UK Panomera solution is being installed at Everton FC ready for the start of the new season. This was in effect the result of a meeting at the very first national conference we attended in 2011 with Linsay Veitch and the now retired Ray Foy of Everton. 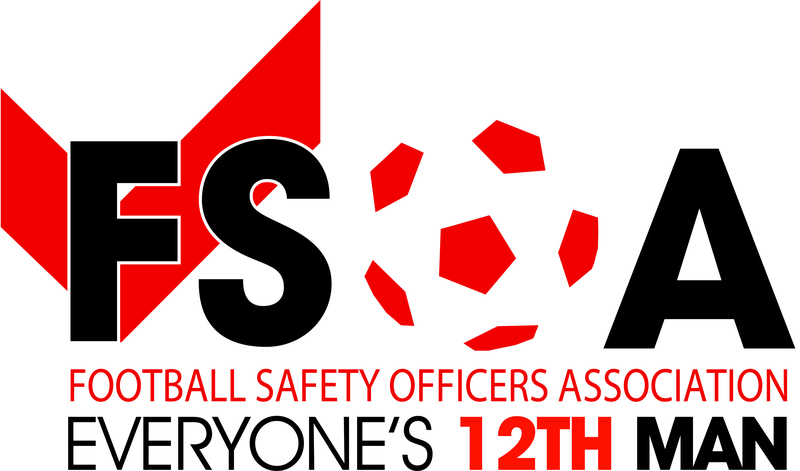 We are firmly committed to future support of the FSOA and look forward to catching up with members at the next national conference as well as regional meetings. Direct Telecom Services Limited applied to join FSOA as a corporate member after one of our customers, Cambridge United FC, recommended the Association to us. Direct Telecom Services are an award-winning provider of two-way radio solutions. We supply, integrate, hire and maintain two-way radio solutions for companies throughout the UK. We are approved partners for all the market leaders in radio communications including Motorola, Hytera, Vertex, Kenwood and Icom. On the 26th March 2014 Direct Telecom Services were delighted to hear that Sepura PLC had appointed us as their first DMR Partner in the UK. For years the name Sepura has been associated with TETRA radios and ‘blue light’ agencies, but now they have a product for the commercial market too. The FSOA has provided us with an excellent platform to launch the Sepura brand to its members. Direct Telecom Services and Sepura recently attended the FSOA National Conference in Daventry. We cannot praise the association and their members enough for the warm welcome that we received. The event itself was informative yet fun, and the organisers couldn’t have been more accommodating. Direct Telecom Services have always been committed to meeting customers’ needs in a fast, but safe and effective manner. We are backed by a dedicated team of professionally trained, certified staff and pride ourselves on exceeding our client expectations. We can see the same code of ethics and professionalism in the team at FSOA, and we highly recommend membership to interested parties. Address | Generation Business Park, Barham House, Barford Road, St. Neots. Cambridgeshire. PE19 6YQ. Entelec has been a world leader in the design and implementation of integration software (PSIM) for over 20 years. Its flagship system, Sky-Walker, manages security, life safety and building management systems across multiple locations, sports stadia, transport hubs and building infrastructure via a single intuitive GUI. Sky-Walker is supported by an extensive database which facilitates bespoke data-mining to produce dashboards, tailored reports and analytics. Sky-Walker is completely vendor independent and is capable of integrating any system, meaning that clients are not required to upgrade any aspect of their estate to facilitate true integration. Clients benefit from reduced direct costs, enhanced management capabilities, increased effectiveness, reduced training requirements and a more efficient resolution of system alerts. 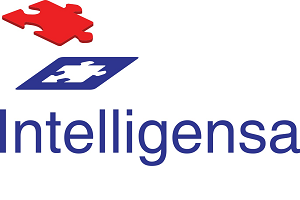 Intelligensa are a specialist national provider of training & consultancy services in Physical Intervention. This training is suitable for any sector that may encounter aggression at work but particularly event stewards. We provide high quality, affordable training 7 days a week offering day, twilight and evening sessions. With a completely flexible approach we have 100% customer satisfaction. Delivered at your venue, we charge per head and this price includes a certificate per delegate. All our staff hold teaching qualifications and multiple subject qualifications. We are affiliated to, licensed by and quality assured by the National Federation for Personal Safety (NFPS) and awarding bodies for Pearson Edexcel and Highfield Awarding Body for Compliance (HABC). “Intelligensa continue to provide outstanding training to staff at Arsenal Football Club. They have met our needs entirely, giving staff the skills, knowledge and confidence to perform their roles.” – Sharon Cicco, Safety Officer, The Emirates Stadium. Tensor plc, founded over 30 years ago, is a financially strong UK manufacturer and design company of Access Control, CCTV and Time & Attendance systems, currently employing around 130 people, with various facilities within the UK, with its headquarters operating from its own 1,120m² (12,000 sq. ft.) purpose built facility attached to a magnificent old country house standing in 5 acres of grounds at Hail Weston in Cambridgeshire. Tensor has integrated award winning and stadia proven facial recognition systems, hand scanning, re-developed our entire fingerprint reading systems for both Access Control and Time & Attendance, designed and developed many links including into Oracle HR, Microsoft AD, Stadia Ticketing Systems and many other database driven applications & data management tools. Our innovations include mass-facial recognition using CCTV technology, NVR based multiple Mega-pixel CCTV recording technology & Microsoft Outlook integration. Tensor’s Research & Design activities remain a top priority, thereby maintaining our position as a market leader in the security equipment sector for years to come. Nasty sounding Public Address broadcasts are painful on your fans’ ears and, if the sound is muddled and dull, it’s unnecessarily damaging for your club’s image. The Green Guide states a deficient installation (including the PA system) reduces the (P) factor, potentially down to zero. So transforming your PA from a garbled and unreliable embarrassment into a reliable and effective safety system is not just about saving your fans’ hearing but is also a financial, operations and safety advantage. For 15 stadia, we’ve remodeled the sound kit & its performance and always within the clubs’ budgets. Tannoy manufacturers will tell you to ditch all your kit as they can only work on their own: that’s expensive and with no guarantee it will sound any better. That’s not how we work, because we know and use many tannoy and higher grade sound kit makers we are dab-hands at reusing and reconfiguring existing equipment. And, when budgets allow, we integrate new or reconditioned kit. Most importantly, we tailor each system to the unique performance needs, compliance duties and budget limits of the club. ● Dependable Life Safety Performance – no more dodgy sound system maintenance that leaves you personally at risk of prosecution or with startling and costly repairs. sound systems. And do this whatever the budget and without employing expensive consultants. Whilst ProAudium is not a contractor they will work with your existing fire, security or electrical contractor to project manage and deliver your transformed system. Then they maintain it, minimising your running costs. They will also guide you on compliance. Where you don’t have a suitable contractor, ProAudium have worked with some tip-top stadium contractors. Call Nigel on 01273 897313 to talk about your sound needs. alcohol offences. ln addition, the number of banning orders issued has increase d by 12%. be held safely, while completing paperwork. So, what is the solution for football clubs? Well, it’s surprisingly Easy! The SDU is the low cost modern design compliant with all health and safety requirements. And its money well spent – the ROI for an SDU could be as Iittle as 3 to 5 months! further information and we can discuss your requirements.